Cutscenes and level music are stored on the CD rather than in the game files. 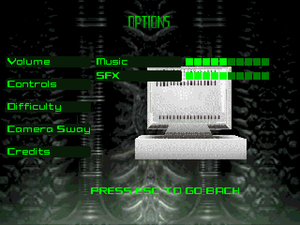 Difficulty is set in options and not when starting a new game. 10 save slots available. Game can only be saved between levels. 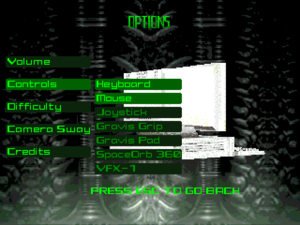 fixed 640 x 480 resolution. Map/Inventory button cannot be rebound away from Esc. 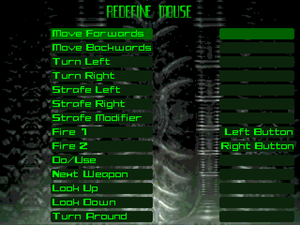 Quick weapon selection cannot be rebound away from the number keys. Mouse Y-axis permanently bound to moving forward/backward. 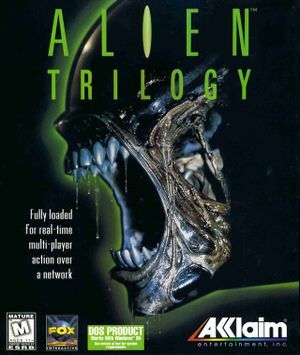 Alien Trilogy may run at ludicrous speed if launched using DOSBox's default settings. 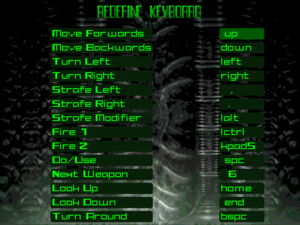 In DOSBox's .conf file, change core=auto to core=normal.